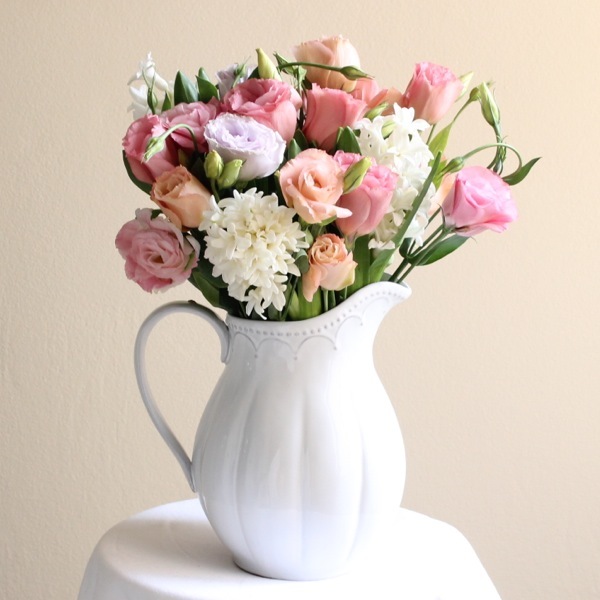 Need a florist to send gorgeous fresh flowers to Roseville? Our award-winning flower shop offers same delivery if you order by 11am weekdays and 9am Saturdays. Need a florist to send beautiful flowers to Roseville? Pure Flowers is here to assist! We deliver stunning fresh flowers from our award winning store to Roseville. We’re known for designing only the very best and longest lasting floral arrangements, whether it’s for your best friend's Birthday or to say 'hello'. Our flowers are hand selected from the Sydney Flower Market to create beautiful bouquets and florals. For same day flower delivery to Roseville, place your order by 11am weekdays and 9am Saturdays. Getting the freshest flowers delivered is easy - visit our store, call 02 9427 8214 or order online. Pure Flowers is a North Shore boutique florist. Our friendly team delight in creating personalised arrangements to help you celebrate life’s special moments. We use quality blooms to create dazzling designs for every occasion. Read our flower care tips so that flowers can be enjoyed for longer in the home. If you are sending flowers to a male, take a look at our guide for the best flowers for men. We will hand make your flowers in our lovely boutique florist. Our couriers will deliver your blooms to Roseville, Roseville Chase, and neighbouring Lindfield and Killara. Roseville is a leafy green suburb upon Sydney's Upper North Shore. Its primarily a residential suburb characterised by federation homes, Californian bungalows, parks and lush gardens. This suburb is home on one of Sydney's best cinemas - Roseville Cinema! And if you are after a good coffee, we recommend Calibrate Coffee at 1 Lord St, Roseville.